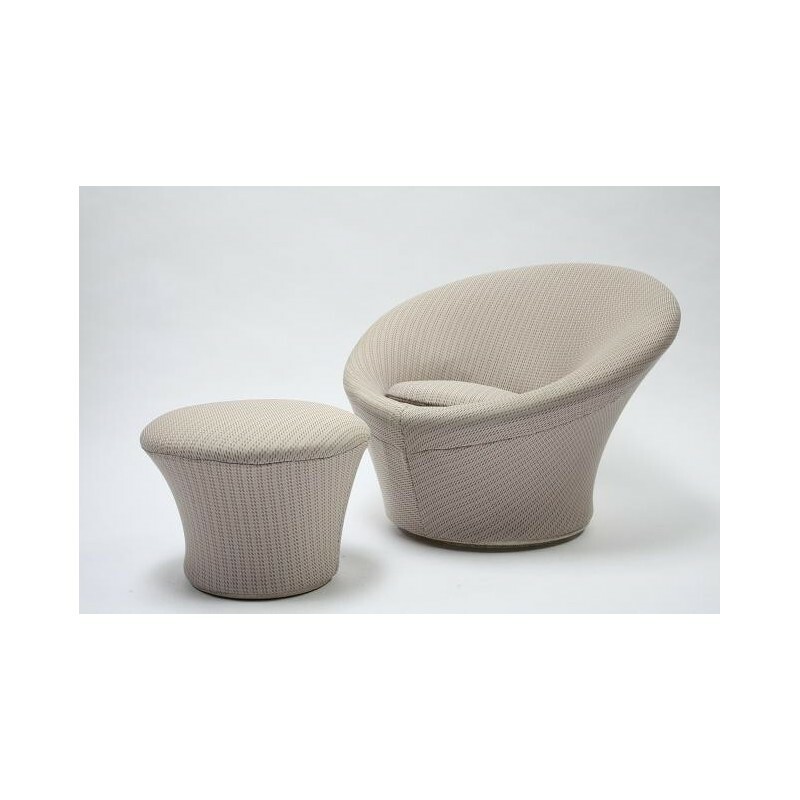 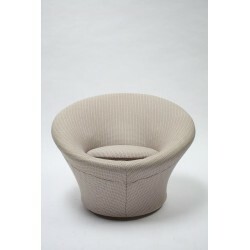 Classic design, the Mushroom with hocker designed by Pierre Paulin in 1960 for Artifort. 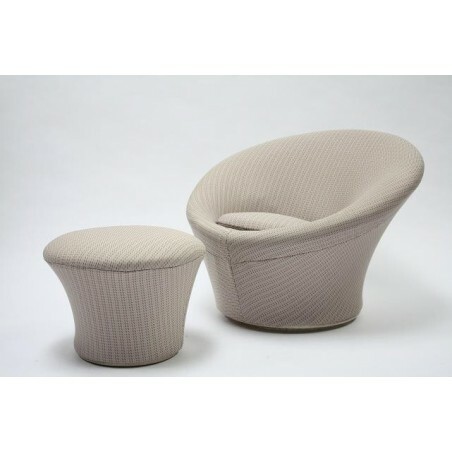 The chair and hocker are in a good condition. 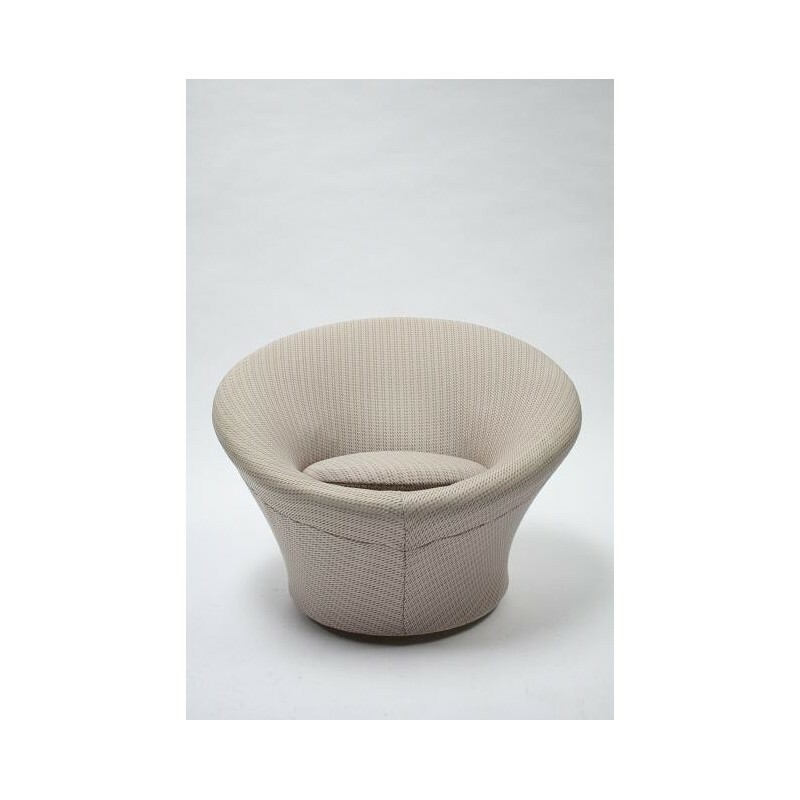 The dimension is 40 cm SH/ 67 cm H/ 90 cm in diameter for the chair, 38 cm H/ 46 cm in diameter for the hocker.